Our Hartford City, Knightstown, and Montpelier offices are partnering with local food pantries to collect food items during the month of February. Bring by your donation anytime during normal business hours. 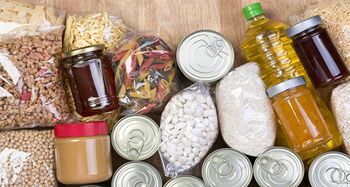 Items we're collecting include: canned items, dry goods, breakfast items, drinks, cooking oil, baking mixes, and snacks. Hartford City donations will go to Community and Family Services for distribution. In Montpelier, we've partnered with Smith Consulting and the Montpelier Civic Center for collection for distribution at the local food pantry. Knightstown donations will help the Knightstown Academy start their new food pantry. If you have any questions, please contact Ashley Laurence (Hartford City), Susie Downey (Knightstown) or Jane Ann Herring (Montpelier.) Thank you for helping us live our mission of helping our clients, co-workers, and communities succeed. Committed to helping our co-workers succeed.